In honor of Women’s History Month, the Folk Music Society of Huntington’s Hard Luck Café at the Cinema Arts Centre on Thursday, March 15, will feature two female artists who have been establishing names for themselves on the Long Island music scene – Annie Mark and Katie Pearlman. The 8:30 p.m. concert will be preceded by an open mic at 7:30 p.m. Tickets are $7 for Cinema Arts Centre and Folk Music Society of Huntington members; $10 for non-members. The Cinema Arts Centre is at 423 Park Avenue in Huntington. (631) 423-7611. Singer-songwriter Annie Mark has shared her country-tinged Americana-roots music with audiences from Ireland to Nashville. A New York native, she moved to the south at age 10, where she nurtured a life-long love of old-style country music and of songs that convey slice-of-life stories about people’s lives or personal experiences with heartfelt simplicity that is not dumbed-down but boiled down. 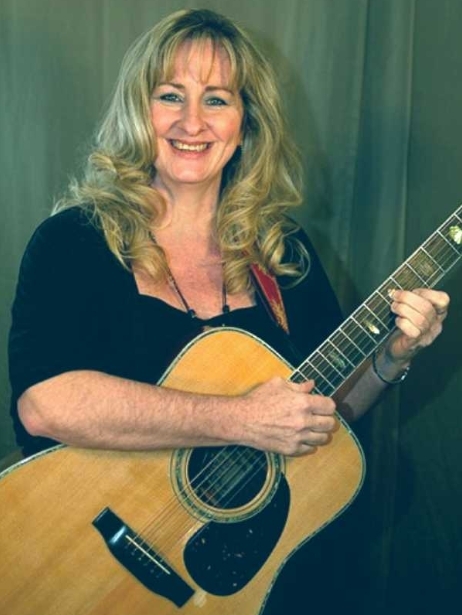 Inspired by such singer-songwriters as Patti Griffin, Julie Miller, Nanci Griffith and Mary Gauthier, Annie tells stories through her songs and encourages listeners to face their own fears and humanity. Sung in her richly textured voice – sometimes velvety smooth, at other times raspy and raw with a little torch and twang thrown in here or there – the songs explore life’s journey and universal themes of love and loss, struggles and triumphs, shadows and light. Annie plays a mix of folk and country, with a little bit of blues rock, accompanying herself on a strong, steady rhythm guitar with a rock or country beat, or a bluesy feel if the song calls for it. 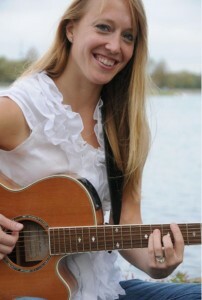 Chris James will accompany her on guitar. Katie Pearlman is a singer-songwriter and multi-instrumentalist best known to Long Islandmusic audiences for her prowess on the drums, which she’s been playing since she was 10. More recently, she’s stepped out from behind the drum kit and sought to connect with audiences more intimately with her voice and an acoustic guitar. Katie’s recently released third album, Girls Like Us, features 12 story songs celebrating women who have been through life experiences and come out on top. It was inspired by Andrea Buchanan’s book Note to Self: 30 Women on Hardship, Humiliation, Heartbreak & Overcoming It All. While Katie’s previous recordings and live performances have veered more to pop-rock and jam-band stylings, Girls Like Us has more of an Americana feel and features a new band (including her husband, Jeff) and harmony vocals by Cathy Kreger, who will join her on March 15. Although she does not compare herself to any of them, Katie admires the musical work of Bonnie Raitt, Joan Osborne, Miranda Lambert, Lee Ann Womack and Lori McKenna. Established in 1973, the Cinema Arts Centre in Huntingon (www.cinemaartscentre.org) seeks to bring the best of cinematic artistry to Long Island and use the power of film to expand the awareness and consciousness of our community. LI’s only not-for-profit, viewer-supported, independent cinema presents a wide array of films that are often accompanied by discussions and guest speakers. Now in its 43rd year, the Folk Music Society of Huntington (www.fmsh.org) presents two monthly concert series, a monthly folk jam and sing-along, and an annual folk festival in conjunction with the Huntington Arts Council during the summer.